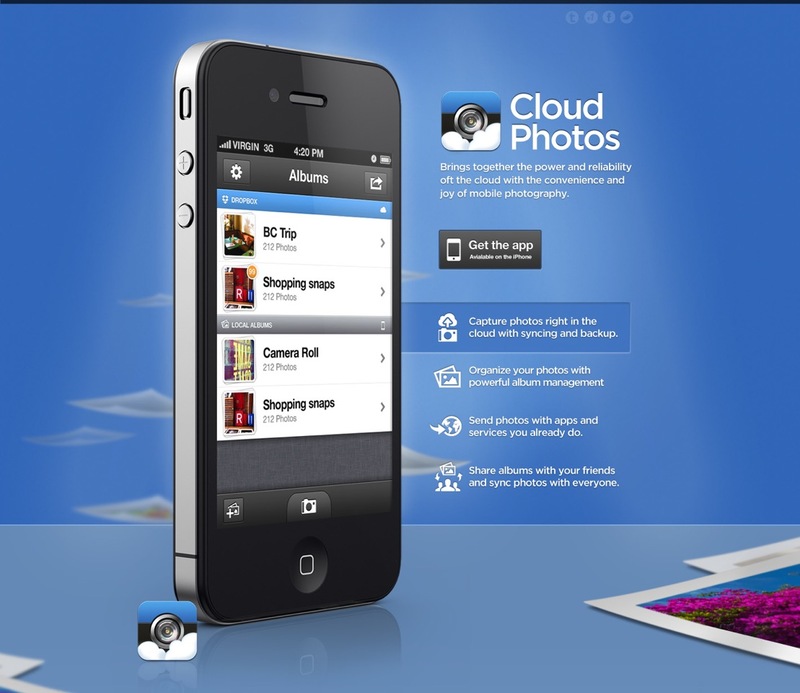 Cloud Photos is an iOS app (request beta access) by Syrp that automatically uploads your photos to Dropbox. Because it is cloud based only a thumbnail is stored on your device saving you tons of storage space. Sharing a folder is simple and secure, and you can email individual photos and also Tweet them. If you are looking for an Android solution give Syncly a try.